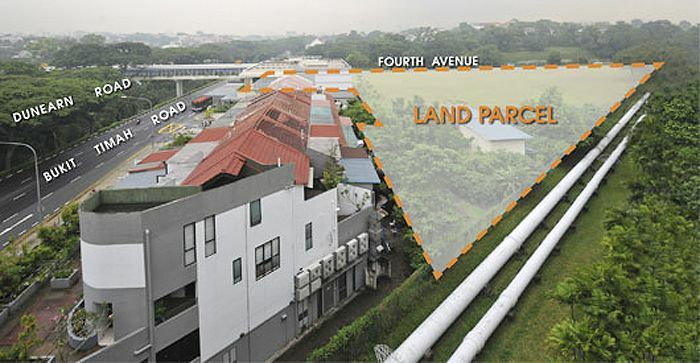 A 99-year leasehold residential site at Fourth Avenue, along Bukit Timah Road is set to be released for sale by the Urban Redevelopment Authority (URA) after they have received a minimum triggering bid of S$448.8 million. The Fourth Avenue GLS site is situated in the prime district 10, with an area of around 199,478 square feet is likely to draw keen interest from property developers, with analysts expecting up to 15 of them giving a shot at this land tender. It was noted that the land parcel at Fourth Avenue can yield up to 445 private homes, with a maximum gross floor area of approximately 359,065 sq m. It will be named as Fourth Avenue Residences and set to be completed by 2022. Property consultants said that there has been significant interest shown for this site as it’s located within close proximity to the Sixth Avenue MRT Station and also various renowned educational institutes in Singapore. They have added that the winning bid is expected to come in at around the S$567 million or S$1,580 psf ppr mark. 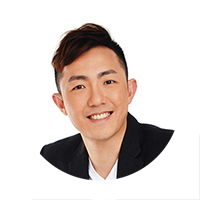 Previously a Toh Tuck Road GLS site, which is just nearby the Bukit Timah residential district drew a staggering 24 bids earlier this year in April, with SP Setia successfully acquiring the site for S$265 million (or S$939 psf ppr). It was also reported that another 2 sites were released for tender under the URA’s Government Land Sales (GLS) programme – a site located at Chong Kuo Road (in the Sembawang precinct) and another at Cuscaden Road. The 99-year leasehold Chong Kuo Road GLS site has a total land area of 46,101 square feet and the future new launch project will be limited to only 5 storeys tall due to the height restriction imposed in the area. Analysts believe that the site is likely to draw more interest from developers of smaller scale and the top bid should come in between S$570 to S$650 psf ppr. On the other hand, the Cuscaden Road GLS site has a total land area of 62,136 sq ft and is situated near the upcoming Orchard Boulevard MRT Station in prime District 9, which is expected strong interest due to the limited supply of new non-landed private homes in the area and is likely to fetch a winning bid of around S$1,600 to S$1,800 psf ppr. Both of these sites can yield around 250 private residential homes.